Framex is the largest and most experienced manufacturer of windows in Pomorze Zachodnie. Framex has been established in 1991. We are a family business that offers complex services within PVC and aluminium frames and cares deeply for every customer. We create perfect solutions for your home. Based on the highest quality, innovative technology and ensuring modern design. Windows is our family passion! 5 years of guarantee! Authorized service of Framex windows makes every endeavour so that your windows could be used as long as possible. 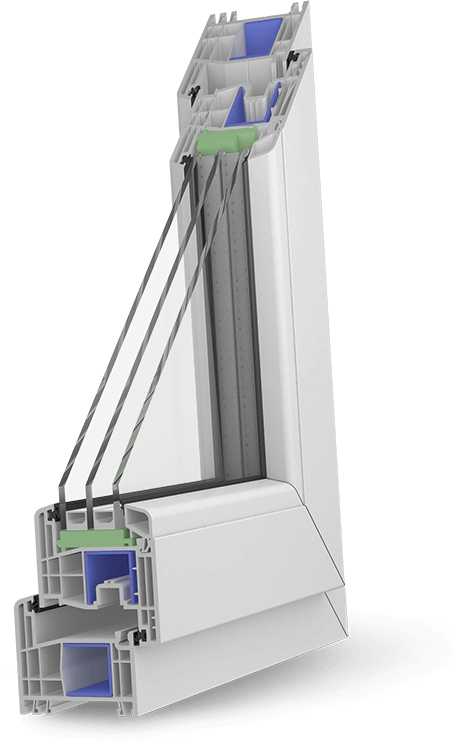 Today, Framex windows satisfy the highest thermal insulation requirements that will be in force in the future. Over 25 years of experience! We have gained recognition among customers with consequently built brand based on high quality services and products. Framex windows and doors are manufactured based on innovative solutions of the best brands within the window frames sector i.e. Gealan, Ponzio, Winkhaus. Perfect solution for your home! 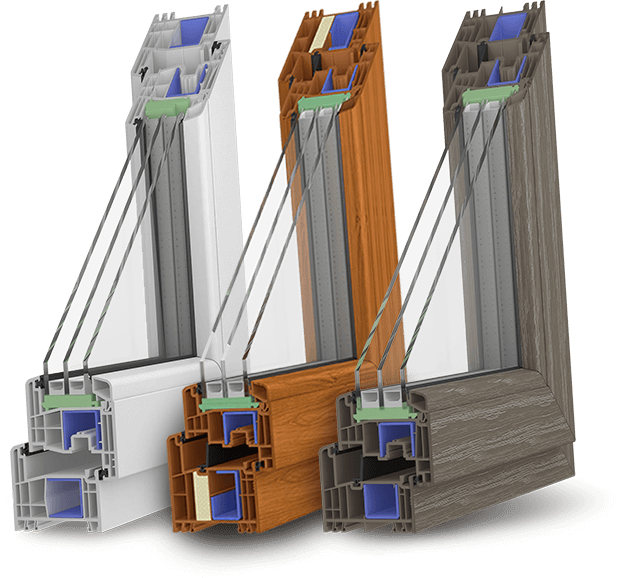 The newest window systems of Framex mean sophisticated design, the highest thermal parameters and the best PVC quality. Windows are the showcase of our home. They let the light inside and keep warmth from escaping. Selection of window frames for a new home or apartment is one of the most important decision while building or renovating a building. 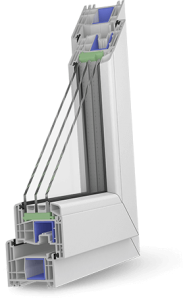 The BLUE series windows of Framex, made based on GEALAN profiles, is the answer to the highest requirements of our clients. We make your dreams about really large glazing come true because of the innovative sliding constructions. Terrace doors in the lifted and slid HST system as well as tilted and slid PSK system are the guarantee of comfort, aesthetics and energy-saving. The width of the HST door leaf may reach up to 3 m. Special ferrule mechanisms and reinforcing element allow for sliding large leaves with minimum effort. Exceptional smoothness of operation and robust bolts ensure safety. This balcony door system allows for implementing all popular types of slid constructions. 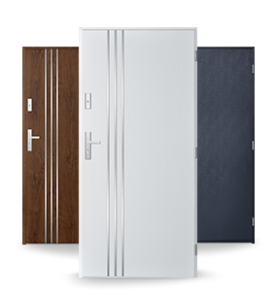 Safe, robust and stylish doors for your home! Wide selection of entrance doors with many colour options related to veneers and optimum accessories packages. Doors to your home must provide comfort, safety and privacy and at the same time match the building style. The protect against cold and excessive noise. 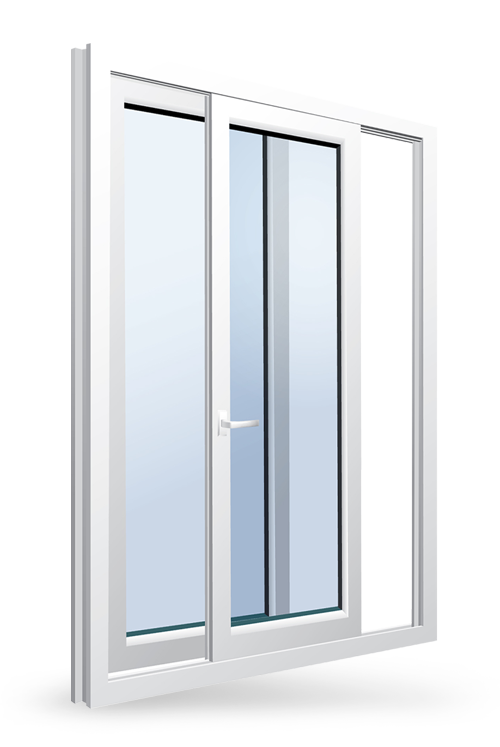 Frames external doors distinguish with solid, safe and energy-saving structure resistant to weather conditions and unique design. Choose entrance doors that perfectly match your home and needs, among a few dozen exceptional models. Steel profiles of stylish shapes allow for creating exquisite asylum for your plants and a relaxation spot for you. Winter garden is a perfect place for relaxation surrounded by plants, without leaving your home. Thanks to complete thermal insulation, modern system of water draining and perfect tightness, the system guarantees great comfort. Wide selection of additional equipment for windows means the option to choose from accessories perfect for premises in the most unique style. You select the accessories, we provide professional installation. The best protection against excessive insolation. Wide range of the newest patterns together with installation. Sills made of steel, PVC and conglomerate designed for installation with plastic, wooden and aluminium windows. External roller blinds of the renowned brand PORTOS. Wide selection of colours and types of blinds for every facade. Effective and aesthetic protection against insects and pollens. Made of glass fibre net and aluminium frame. Invasion-free installation to a window using special bolts.